Herbie Hancock, Organ - M. Davis, Lyricist - M. Davis, Composer - Billy Cobham, Drums - John McLaughlin, Electric Guitar - John McLaughlin, Performer - Teo Macero & His Orchestra, Producer - Michael Henderson, Bass - Miles Davis, Trumpet Copyright : Originally released 1970. All rights reserved by SONY BMG MUSIC ENTERTAINMENT. L. Shankar, Composer - L. Shankar, Lyricist - L. Shankar, Violin - Zakir Hussein, Tabla - Shakti, Performer - John McLaughlin, Producer - John McLaughlin, Acoustic Baritone Guitar - John McLaughlin, Performer - J. McLaughlin, Composer - J. McLaughlin, Lyricist - T.H. Vinayakram, Percussion Copyright : (P) 1977 SONY BMG MUSIC ENTERTAINMENT. Chick Corea, Piano - Jack DeJohnette, Drums - John McLaughlin, Producer - John McLaughlin, Performer - J. McLaughlin, Composer - J. McLaughlin, Lyricist - Dennis McKay, Producer - Stanley Clarke, Acoustic Bass Copyright : (P) 1978 SONY BMG MUSIC ENTERTAINMENT. Mike Berniker, Producer - John McLoughlin, Producer - John McLoughlin, Electric Guitar - N. Washington, Composer - N. Washington, Lyricist - V. Young, Composer - V. Young, Lyricist - John McLaughlin, Performer - Dennis McKay, Producer Copyright : (P) 1978 SONY BMG MUSIC ENTERTAINMENT. John McLaughlin, Producer - John McLaughlin, Guitar - John McLaughlin, Banjo - John McLaughlin, Performer - J. McLaughlin, Composer - J. McLaughlin, Lyricist Copyright : (P) 1978 SONY BMG MUSIC ENTERTAINMENT. Benny Rosenfeld, Trombone - Benny Rosenfeld, Flugelhorn - John McLaughlin, Guitar - Vince Wilburn, Drums - Bo Stief, Fretless Bass - Bo Stief, Bass - Vicent Nilsson, Trombone - Kenneth Knuden, Keyboards - Flemming Madison, Woodwinds - Flemming Madison, Saxophone - Lillian Tbernqvist, Harp - P. Mikkelborg, Composer - P. Mikkelborg, Lyricist - Lennart Gruvstedt, Drums - Eva Thaysen, Vocal - Niels Eji, Oboe - Thomas Clausen, Keyboards - Palle Bolvig, Trumpet - Palle Bolvig, Flugelhorn - Niels Henning Oersted Weisgaard, Acoustic Bass - Per Carsten, Woodwinds - Per Carsten, Saxophone - Jens Engel, Trombone - Jens Winther, Trumpet - Jens Winther, Flugelhorn - Miles Davis, Performer - Miles Davis, Trumpet - Uffe Karskov, Woodwinds - Uffe Karskov, Saxophone - Ture Larsen, Trombone - Ethan Weisgaard, Percussion - Jesper Thilo, Woodwinds - Jesper Thilo, Saxophone - Bent Jaedig, Woodwinds - Bent Jaedig, Saxophone - Perry Knuden, Trumpet - Perry Knuden, Flugelhorn - Marilyn Mazur, Percussion - Ole Koch-Hansen, Keyboards - PALLE MIKKELBORG, Producer - PALLE MIKKELBORG, Trumpet - Bjarne Roupé, Guitar Copyright : (P) 1989 SONY BMG MUSIC ENTERTAINMENT. 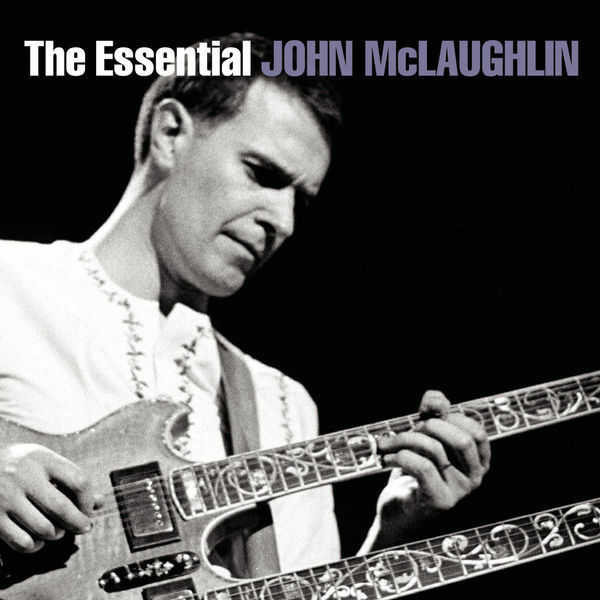 London Symphony Orchestra, Performer - John McLaughlin, Acoustic Baritone Guitar - John McLaughlin, Performer - J. McLaughlin, Composer - J. McLaughlin, Lyricist - Steven Epstein, Producer Copyright : (P) 1990 SONY BMG MUSIC ENTERTAINMENT. Grand maître de la fusion des genres, le guitariste britannique se produit à Pleyel le 15 mai.